The insider advice on this page is from one of Wendy’s Trusted Travel Experts for the American West and Big Sky Country: Caroline Bach Wood. 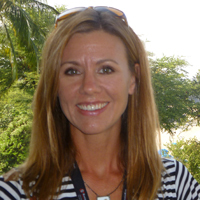 Trips start at $500 per day for two travelers. No activities-only requests, please. The Hotel Terra has ideal suite configurations for families: a king-size bed in the master bedroom, a queen-size, high-quality Murphy bed in the living room, two bathrooms, a kitchen, a dining area, a balcony, a living room, and a fireplace—and all this is usually less than a single room at the Four Seasons. My clients receive special amenities, such as free breakfasts and room upgrades. The Snake River Grill offers gourmet western fare amid classy western decor. It’s located on the southeast corner of the town square, upstairs and behind the Jackson Mercantile. The elk chops with parmesan risotto cakes are excellent. The Blue Lion is in a restored downtown home from the 1930s. The restaurant’s current owner has been there since 1978, and has had the same chef for 25 years; in a mountain town where things are always changing, it says a lot to be in business for this long. The small menu has a French influence; everything from the seafood to the steaks is delicious. Couloir. Reservations are absolutely required, and Saturdays (along with other select evenings) are reserved for private parties, but this four-course dining experience at the top of the Bridger Gondola, above 9,000 feet, is well worth the splurge. The restaurant is small, with floor-to-ceiling windows overlooking the valley. For a real treat, plan the evening around the full moon rising! The menu is always changing, and the sommelier does a fantastic job with the wine pairings. Make sure you plan to be on the gondola at least 15 minutes prior to your reservation. There are many picnic areas with tables in Grand Teton National Park, but these are often crowded. Instead, head to the Signal Mountain public boat launch and walk down the pebble beach to find your spot. 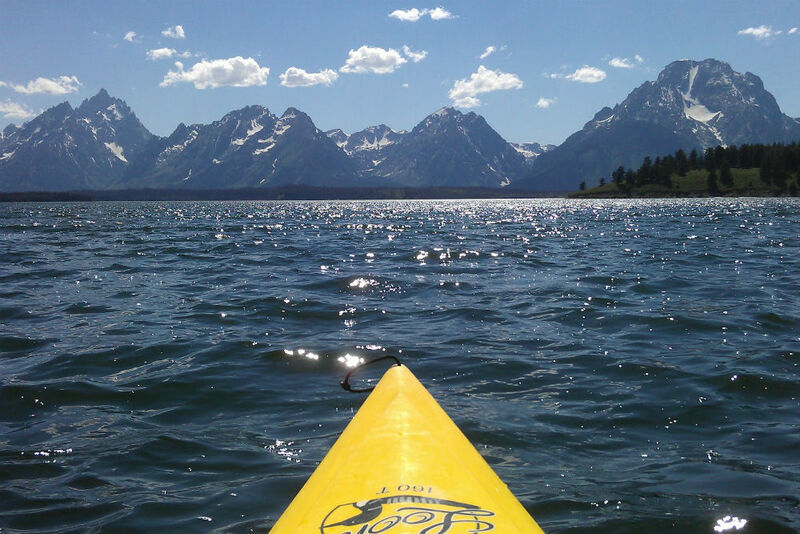 Looking out over Jackson Lake, all of the Grand Teton mountain range is in view. On one of the busiest weekends of the summer, I counted only three other families on this entire stretch. Sleigh ride at the Elk Refuge. Photo Courtesy Caroline Bach Wood. The Idaho side of the Tetons. The laid-back town of Driggs is a haven for outdoor recreation; the Grand Targhee Resort has more intermediate ski terrain, with gladed tree runs and the opportunity to ski or snowboard on long powder runs accessible only via Snowcat, with views of the Tetons (there’s also mountain biking in the summer). Linn Canyon Ranch is a great place for a horseback ride and a gourmet meal; you can overnight in cabins or tents. John D. Rockefeller, Jr., donated 33,000 acres for the creation of Grand Teton National Park; his son Laurance donated the family’s remaining 1,106 acres of private land, called the JY Ranch, to Grand Teton National Park to create the Laurance Rockefeller Preserve. The parking is intentionally limited so that the trails are not crowded and visitors can connect with nature. Jumping Rock on Phelps Lake is a highlight on hot summer days. The Million Dollar Cowboy Bar may be the most popular watering hole in town, and, yes, the stools at the bar are saddles, and on some nights the live music is okay—but service is slow and drinks are expensive. If you want to dance alongside the locals, the Stagecoach Bar in Wilson is a better bet. In summer, the Jackson Hole Tram will take you up to an elevation of 10,450 feet, a great place to start day hikes or see the last remnants of snow. In the afternoon, you can also take the free scenic gondola up to 9,095 feet and have appetizers or drinks overlooking the Jackson Hole Valley at the Deck, often with live music. Families always come back raving about their rock-climbing outings. It pushes their boundaries (but safely—these guides are extremely well trained), and everyone bonds over the challenge. It’s a great full-day experience, starting with a boat ride across Jenny Lake, then a hike to Hidden Falls; there are all sorts of routes to climb near here, suitable for everyone from complete beginners to advanced climbers. 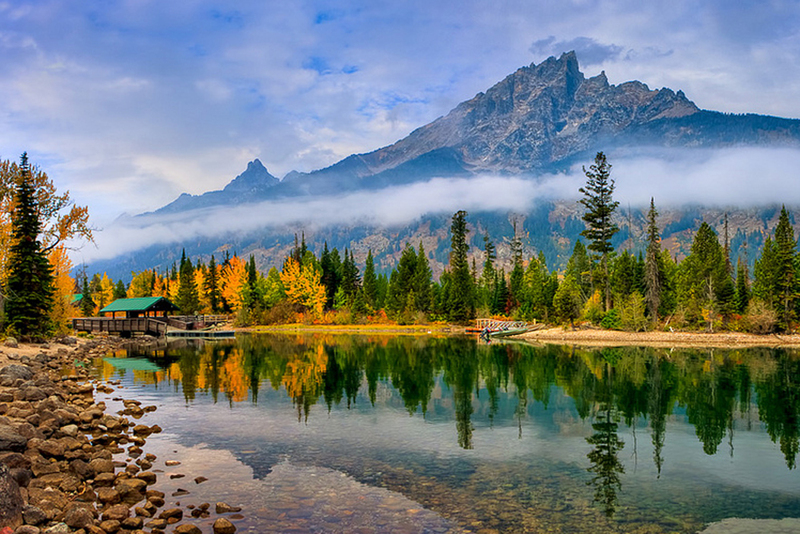 Jenny Lake in autumn, Grand Teton National Park. Photo courtesy Caroline Bach Wood. January, February (except the week of Presidents Day), and early March. Ski conditions are usually optimal, rates at hotels aren’t inflated, and Yellowstone National Park is open if you want to take a snowcoach or snowmobile tour there. Mid-September to mid-October. The aspens are golden, the area isn’t crowded, and hotels often discount their rates; plus, the grizzly and black bears are more visible, stocking up prior to hibernation, and the elk are bugling. While the weather can be cooler, it’s a good excuse to take advantage of the fireplace in your room. The Christmas/New Year’s period and Presidents Day week. These are peak ski weeks, when you will run into minimum-night stay requirements, strict cancellation penalties, and significantly inflated rates at hotels. Not spending enough time here in the summer. 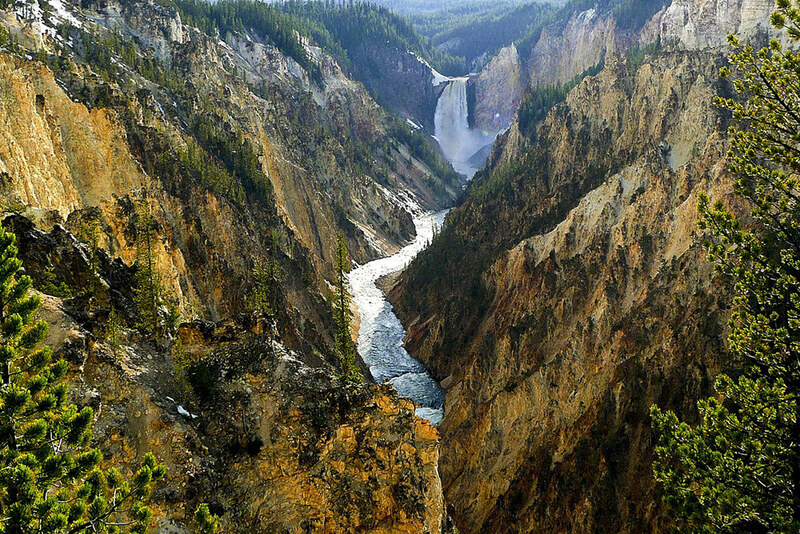 Many travelers use Jackson as a starting or ending point for their vacations to Yellowstone and think they only want a night here—this area deserves at least three! 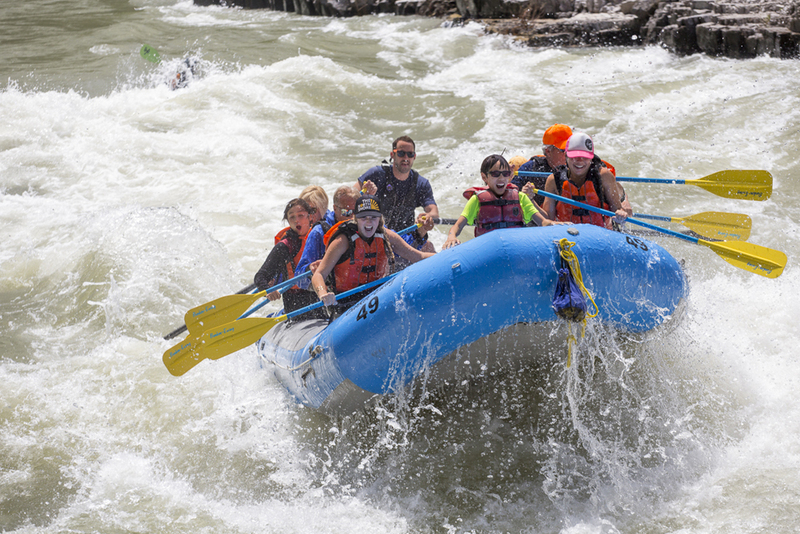 There are excellent hotels to choose from, with suites at various price points for families, high-quality guided adventures from rafting to rock climbing to horseback riding (which cannot be matched in Yellowstone), and the scenery is breathtaking. The Cathedral Group pull-out in Grand Teton National Park, at any time of day before the sun goes over the mountains, makes for a perfect shot of the Mount Owen, Grand Teton, and Teewinot peaks. This is the most photographed location in the park for good reason. If your camera is in good working order, it is impossible to take a bad photo! Looking west toward the Tetons over one of the most photographed barns on Mormon Row, in front of the Tetons. This shot is best in the morning or at sunset. For him: a custom-made cowboy hat from Jackson Hole Hat Company. For her: Dan Shelley’s jewelry featuring and inspired by the Grand Tetons. For the kids: cowboy boots; while there are specialty stores, they are just going to outgrow them, so shop at the Boot Barn; this chain has the best prices and selection for boots and western wear. The airport charges rental car companies a premium to have a location there. Enterprise often has the best rates of the options right at the airport, but there are several companies in town—accessible by a quick shuttle ride—with rates that are sometimes half of what you’ll be quoted from an airport location. Many people who visit Jackson in the summer show up for a horseback ride in tennis shoes with short socks. If you don’t have riding boots, make sure to bring a pair of calf-length thick socks so you don’t get a blister on your ankle. Warm clothes in the summer: You’ll want a waterproof, breathable shell to protect from rain and wind—bring it everywhere you go for sudden intense storms or added warmth. Also bring a fleece, a warm hat, and lightweight gloves for cold nights and frosty mornings. River shoes: There are lots of opportunities to wade in creeks or rent boats to paddle the lake, and flip-flops or bare feet aren’t allowed on rafting trips.